(AdWeek.com) – There’s a reason why all the digital platforms and tech giants are prioritizing TV. It’s a time-tested medium that drives results for marketers while engaging consumers through sight, sound and motion. But brands need their marketing dollars to work harder. They are working with fewer, more strategic partners, and driving performance and results is as essential as brand building these days. Advertisers are accustomed to bringing their own data to digital to drive results, so why shouldn’t it be the same with TV? There can be a lot of hype in this industry about what’s new and the “next big thing in advertising,” but addressable is here to stay and is no longer about test budgets. Addressable TV provides the precision of direct mail, the ROI of accountability of digital, the scale of TV and has moved from the testing phase to always-on activations as more marketers look to reduce waste and extend the reach of their linear TV campaigns. Moreover, it helps marketers manage their frequency more effectively and cut down on those redundant ads we’ve all seen cycling through our streams at one point or another. Here are three new ways addressable is moving the needle for marketers and improving precision for TV buyers. The technology of addressable also solves a few fundamental issues still plaguing linear television: reduced ratings, flattened reach curves and poor frequency management. The result is an oversaturation of ads reaching heavier TV viewers, underexposure of a brand’s message with light TV viewers and flattened reach curves. In a traditional ad buy, advertisers are sometimes paying a premium to reach lighter TV viewers. Addressable lets brands frequency cap heavy TV-viewing households so campaigns are inclusive of light TV viewers. The result is extended reach and a better user experience. Linear TV has had a longstanding history of attracting large budgets and incurring waste because of broad and blunt buys based primarily on demographics. According to eMarketer, advanced targeting inventory accounts for 3 percent or less of all national TV ad volume, which still gets transacted on age and gender demographics. Addressable applies the data and promise of digital to traditional TV to drive precision. And in today’s data-driven, ROI-centric environment where marketers are forcing accountability from their partners and publishers, blunt force instruments alone are no longer acceptable. Addressable helps advertisers cut the excess and reduce costs as a result. While it’s true that addressable CPMs could cost you more than a standard linear CPM, when you stack it up against your target or effective CPM in linear, it’s actually much more cost effective since you’re not paying for all those wasted impressions. Let’s face it: Despite the waste marketers can incur in traditional TV, it’s still a trusted driver of awareness and consideration for brands. Increasingly, even advertisers with large TV spend and broad audience targets are benefiting from addressable TV since it’s inherently data-driven. Addressable is much more than a direct-response tactic. It’s beneficial for creative versioning and frequency testing. Applying that valuable data for TV decisions is not only good for the consumer, but it’s better for the bottom line. Contrary to popular belief, addressable isn’t only for influencing highly considered purchases or big-ticket items anymore. Addressable can certainly sell cars, but it’s quickly becoming a tactic even everyday consumer brand advertisers are taking advantage of. The savviest marketers and niche direct-to-consumer brands are increasingly leveraging addressable to sell more product to specific audiences and cement their message in consumers’ hearts and minds. The new year will be the year addressable TV reaches its tipping point. 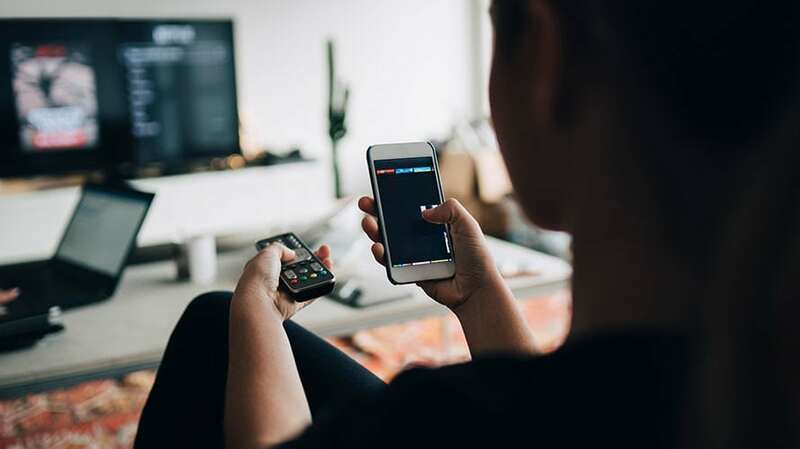 The total number of households equipped to serve an addressable ad has increased from about 68 million households to 74.9 million in 2018, according to eMarketer, which represents well over half of the Nielsen-estimated 119.9 million TV homes in the U.S. And while the notion of addressable inventory has traditionally been relegated to the two minutes per hour, lack of scale is an old argument, thanks to the rise of the virtual multichannel video programming distributor (VMVPD) and the possibility of lighting up more premium addressable network inventory. Written by: Rick Welday, President of Xandr Media.